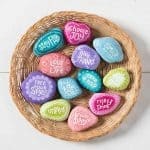 It's so hard for me to think of crafts for men! 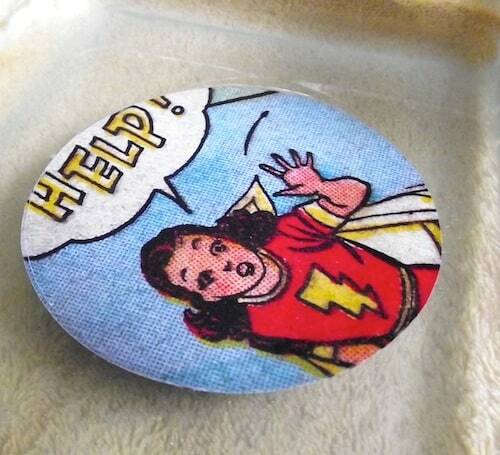 You may be like me and have a brother who loves comic books – in which case, comic book coasters are the perfect gift for said brother. And trust me, I'm not throwing stones. I'm a Star Wars fanatic. I even have a t-shirt (I wear it) that says “Be Nice to Nerds.” Haha! I'm quite pleased with Man Podger David's project because I know a lot of you are looking for gifts and project ideas for the men in your life. You'll want to pay attention (especially if you're a beginner); he also used an unusual surface for the base. 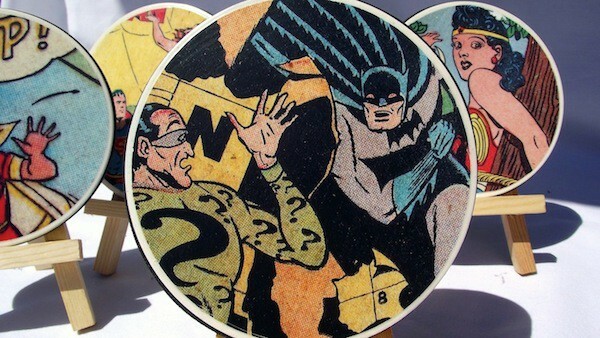 Coupled with Outdoor Mod Podge, this comic book coasters project is a win. There are two screw holes in the blank and your paper will need to cover them. I chose to leave a little edge showing, but it would also work to cover the entire surface with paper. If you choose this route, just cut a circle a little larger than the blank and after applying it and allowing it to dry you’d cut away the excess paper with a craft knife. After deciding and cutting out the images it’s time to Mod Podge. I like to dampen my images before attaching them as it reduces the bubbles and wrinkles that plagued me in my early Mod Podge attempts. 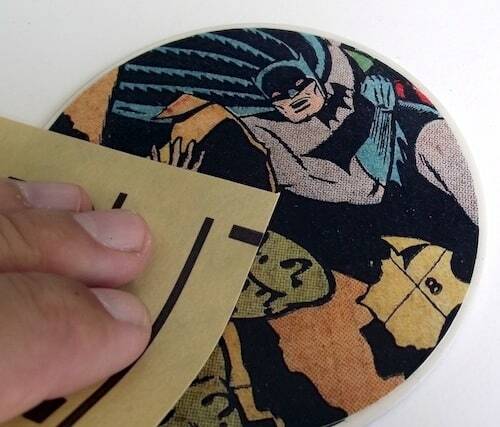 NOTE: This method will NOT work with images printed on an ink jet printer as the ink will run – you should always test a little section of the paper to make sure it will hold up. I fill a container with water and drop the image in to soak a little while I prepare the surface. When I pull the image out of the bath I run my fingers along either side of it to remove any excess water. After that I lay it on the surface and gently smooth it out, pushing out any air that gets trapped or any excess Mod Podge (having a paper towel handy is helpful) and allow it to dry. After about 20 minutes, I top coated the coasters with a layer of Mod Podge and allowed it to dry, then sanded it with my 220 grit sandpaper and gave it another coat. I glued the gaskets that come with the blanks onto the backside for my padding using E-6000 glue – you could also use cork or felt if you’d prefer. 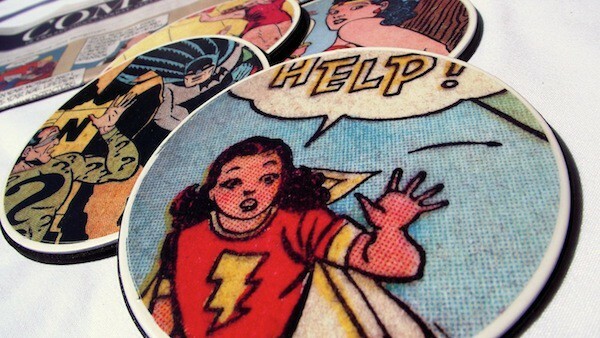 And you now have finished comic book coasters to gift. Or keep for yourself. 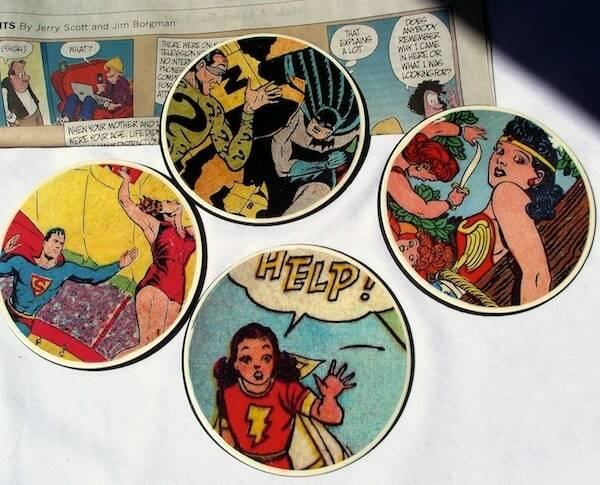 Thank you David – these comic book coasters are awesome. My brother's birthday is coming up and I'm going to make these. No one tell him! Very cool! LOVE the superhero theme! Love the use of the metal blanks. It’s also refreshing to have a man’s perspective on a craft blog–cool. David, Another great tutorial! Great idea and project! I’ve got three boys of my own so I’m always psyched to see good boy projects. These are the perfect boy gift! OMG, the kids dad would love these!!!! Fabulous! These look awesome! 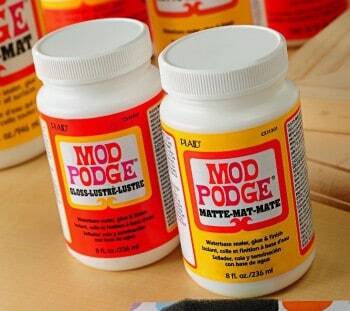 Does the Mod Podge hold up well with hot drinks? Thanks everyone for the kind comments – I’m glad you like them. 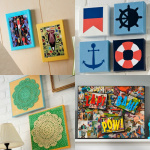 MichMash – I used outdoor Mod Podge which is designed to hold up to the elements. 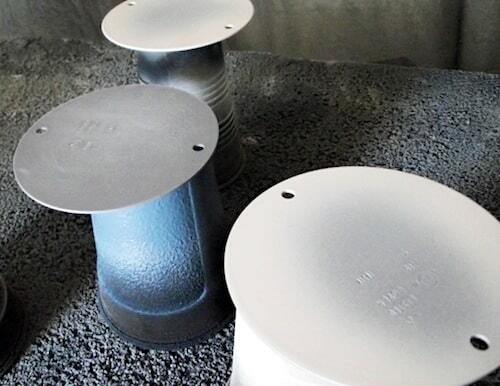 However, if you want a little extra measure of heat resistance I would suggest letting them dry very, very thoroughly (a couple of weeks at the least)and then, after a light sanding, apply a couple of coats of Polycrylic and allowing that to dry for several days as well. 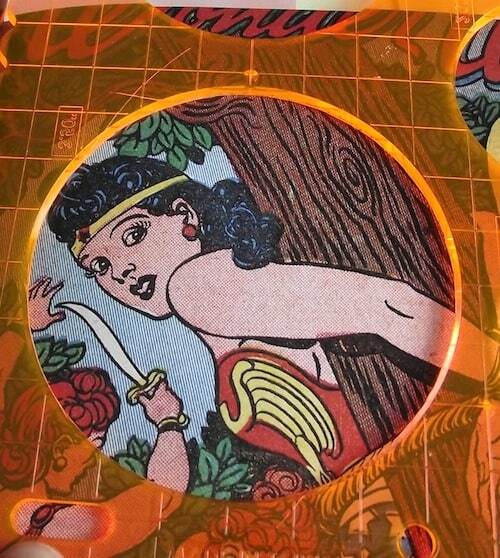 I love the fact that you solved the weight issue with the round chipboard coasters. Thanks for sharing!!! I love, love, love these! And can’t wait to make them as Christmas gifts. What a great idea! And the water tip you gave was awesome, definitely trying it out. Thanks! i’ve got some NERDtacular friends in my world who would take great delight in these…i’d better get to work! Love this idea and I have many geeks on my gift list one in particular would love this! Thanks for the inspiration and the idea! Let me just say that you’re a genius – I’d never heard of wetting my thinner pieces of paper – guess what? No bubbles! Awesome! Did you put a clear sealer on it so they wouldn’t stick to anything? 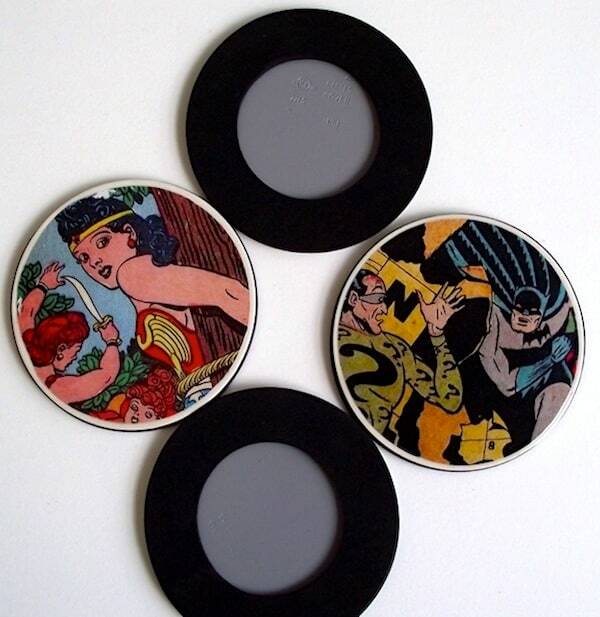 great project, and i love that the coasters were made with items from the hardware store, with padding and all! 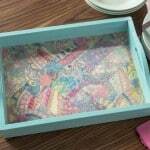 thanks so much for sharing on Craft Schooling Sunday! These are so cool! 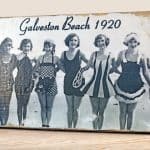 I have a few friends that these would make perfect gifts for (okay, okay, they’d make a great gift for me too!). Wow these are very cool! Will be making these soon for a friend of mine! These are AMAZING! I cannot wait to go find some old comics! 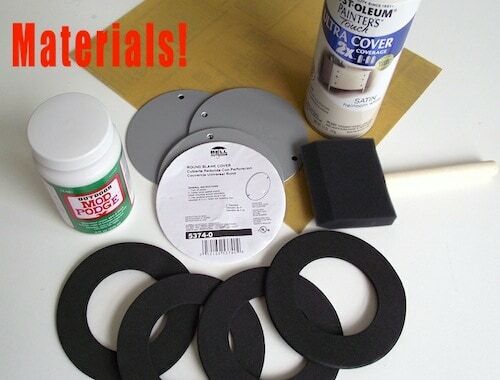 I want to make some with some edge showing–do you remember the diameter of your cut circles? I was using that Fiskars Circle Cutter tool that’s shown in the 3rd picture and it was the 3.50″ circle that left that little edge visible. I would like to use these but I want to print out a picture with an ink jet picture. How do I keep the ink from running? Search for “inkjet” and you will find all the answers you need. Good luck! Thank you! Hello what kind of paper did you use? Hi there! Regular book weight paper or inkjet standard printer paper will work. I’m a little nervous about the water technique, but I’m going to try it. These look so good! Can’t wait to make them for my nerdy friends and relatives. Since the modpodge has no sealant on top how will condensation from cold drinks affect it? 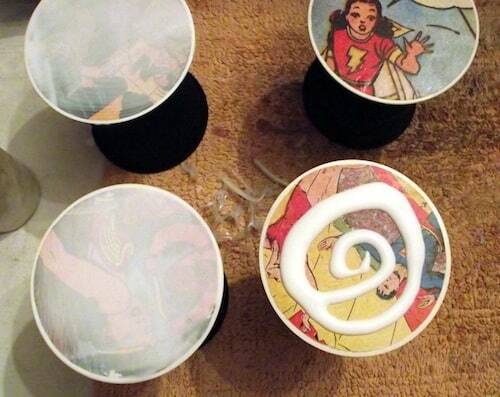 If you are going to put drinks that sweat on top of these coasters, I would use a waterproof sealer. This is AWESOME! Thank you thank you thank you!!! my anniversary with my boyfriend is coming up and we agreed only homemade gifts. 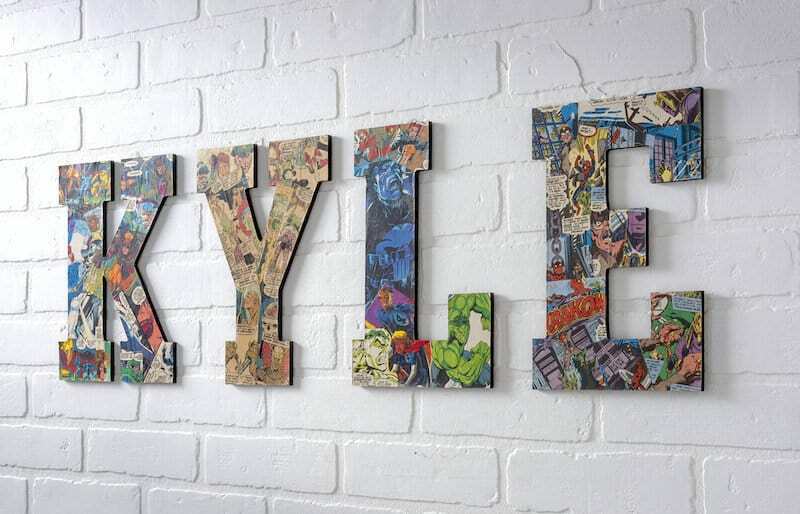 He is the biggest comic nerd and actually does comic art! He will absolutely LOVE this!! Thanks sooo much! Hey there! 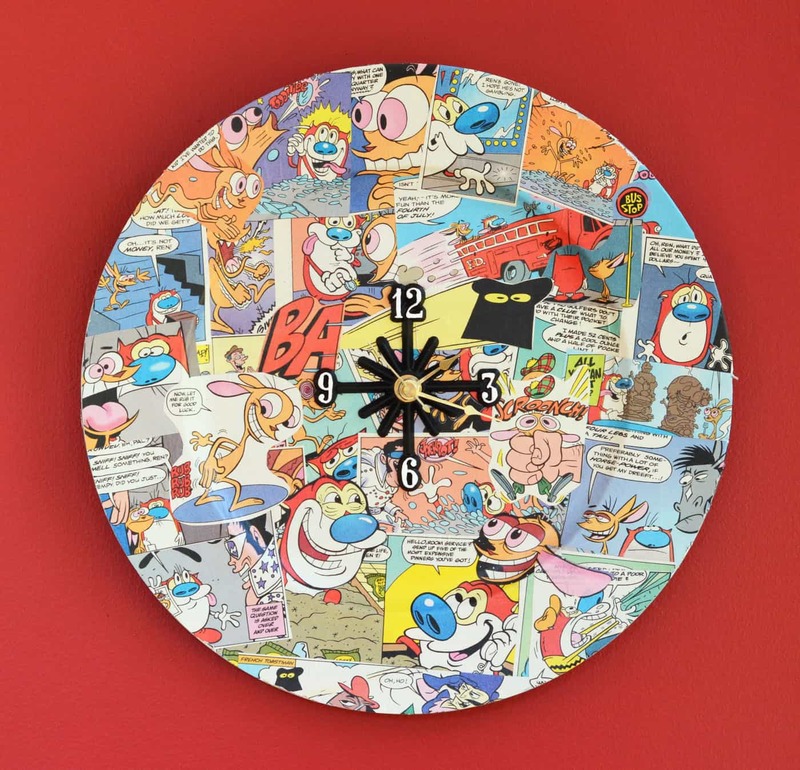 Just wondering if you put a layer of Mod Podge underneath the page before placing it on the metal circle? Just wanted to double check before I start making them just to be safe! 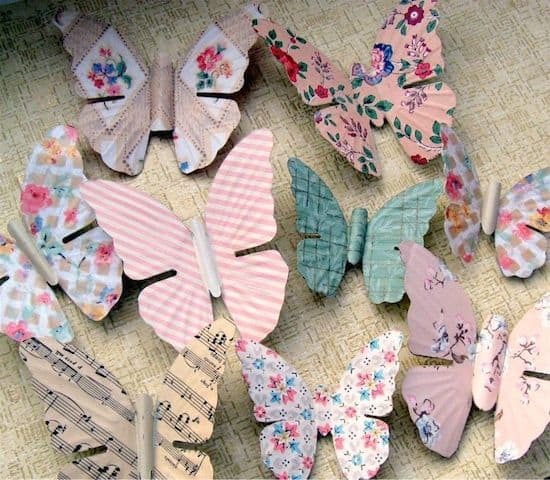 Just come accross these and think they are fab, will definitely be makin some with my children for my husband’s birthday, he’ll love them! These are great! I was just wondering if the same method would work for metal light switch plates or outlet covers? Thanks for the fabulous tutorial! Men really are so hard to craft for and these look fantastic. I will definitely be making some.